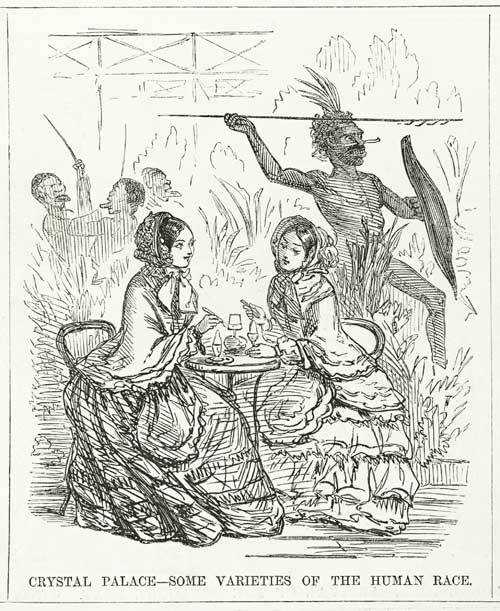 John Leech, “Crystal Palace- Some Varieties of the Human Race,” from “Punch’s Almanack for 1855,” Punch vol. 28 1855. This image is in the public domain in the United States because its copyright has expired.